Isis Music Hall in Asheville is proud to host an evening with Jonathan Scales Fourchestra and Galen Kipar Project on Saturday, March 15th. Both bands have been busy writing new music for upcoming albums and are excited to present some of the tunes at the show. Scroll to the bottom of this for a couple of videos of Jonathan Scales Fourchestra and Galen Kipar Project Performing live. Doors are at 5pm if you would like to sit down for dinner prior to the show. The show starts at 9pmas and general admission tickets are $10 in advance and $12 at the door. There will be some balcony seating available. Call 828-575-2737 for dinner reservations or with questions. Isis Music Hall is located at 743 Haywood Road Asheville, NC 28806. Jonathan Scales Fourchestra. Photo by Mike Morel. Jonathan Scales Fourchestra is heading into the studio in the middle-of-nowhere Virginia at Summit Sound to record the bands first TRIO record, no guests, not extra orchestration, just raw Jonathan Scales Fourchestra. This will be their most ambitious record for the band, inspired by Roy “Futureman” Wooten, the album will be their first real attempt to put together an “epic, long-form masterpiece.” The new release, Mixtape Symphony, is expected to drop in late spring through Ropeadope Records. “Scales is to steel pans ….what Béla Fleck is to the banjo—an über innovator,” says Driftwood Magazine. Drummer and percussionist Phill Bronson drives the Fourchestra’s time-shifting, modern grooves with graceful polyrhythmic chops and the listening ability of a true master. (His talent has been praised by Victor Wooten, Oteil Burbridge, Ellie Mannette, and others.) Bassist Cody Wright rounds out the ensemble with a groundbreaking hybrid picking style stemming from his background as a highly practiced fusion guitarist. With gut-wrenching grooves and blistering, soulful melodic lines, Wright’s mix of flash and feel adds a unique depth to the Fourchestra. 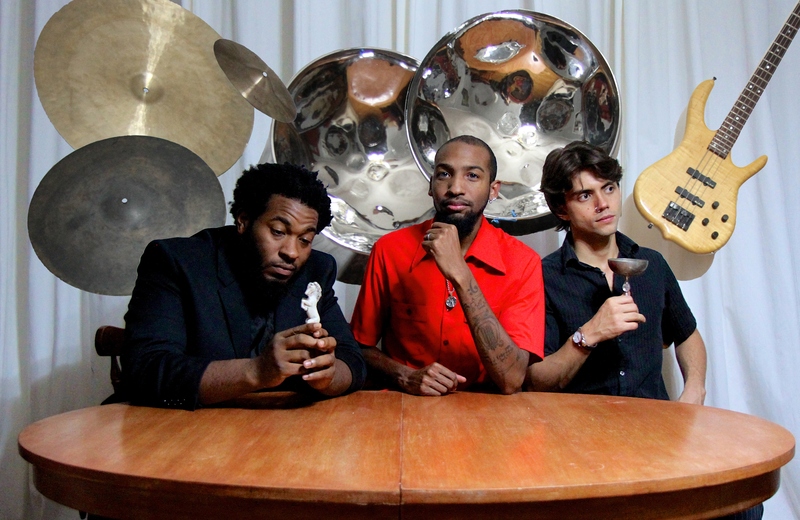 Together, the group explodes onto stages with an indescribable sound that is as much felt as it is heard, and is said to have “a Thelonious Monk-like attitude with a Mozart creativity that works.” (Pan on the Net) The group’s self-titled debut collaborative album features unparalleled sonic density and envelope-pushing compositions. Guest collaborators include Grammy winning masters Victor Wooten and Howard Levy (Béla Fleck and the Flecktones) and is fully orchestrated with horns and strings. For more about Jonathan Scales Fourchestra and tour dates, please visit www.jonscales.com. Galen Kipar Project has been on the rise since 2006, and are currently recording their fifth album at Echo Mountain Studio in Asheville, NC and at the Jefferson Center with Summit Sound’s engineer in Roanoke, VA. They will be launching a kickstarter campaign soon to help fund getting the new music out to the world and expect to release the album by the end of the year. Crafting a fusion of folk, classical, jazz, and blues, Galen Kipar Project has been hailed as “complex yet accessible” and “cohesive and poignant” with “experimental folk masterpieces.” Based in Asheville, GKP is Lyndsay Pruett (violin/ vocals), Jeremy Young (Drums), Ben Portwood (upright bass/ vocals), Galen Kipar (guitar/ harmonicas and vocals), Aaron Ballance (lap steel guitar/ dobro) and Jon Morrow (8 string Novak guitar/bass). 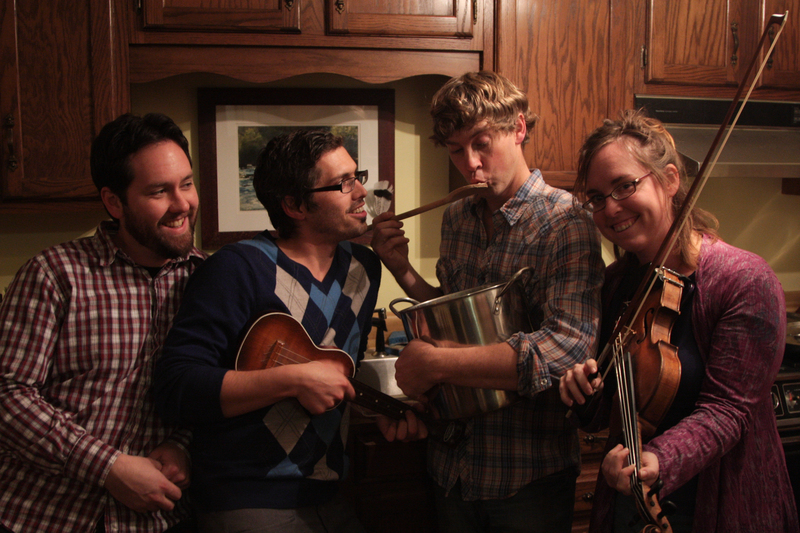 Galen Kipar Project has released four albums, the most recent being The Scenic Route in 2010. “The aptly titled effort is loaded with images of mountains, rivers, forests and streams, and backed by lush arrangements, fluid vocals and Appalachian instrumentation that bring to life what is essentially a musical portrait of Western North Carolina,” says the Mountain Xpress. For more about Galen Kipar Project and upcoming shows, please visit www.galenkipar.com. Jonathan Scales Fourchestra performs Seal’s “Kiss From a Rose” on the streets of Asheville, North Carolina. 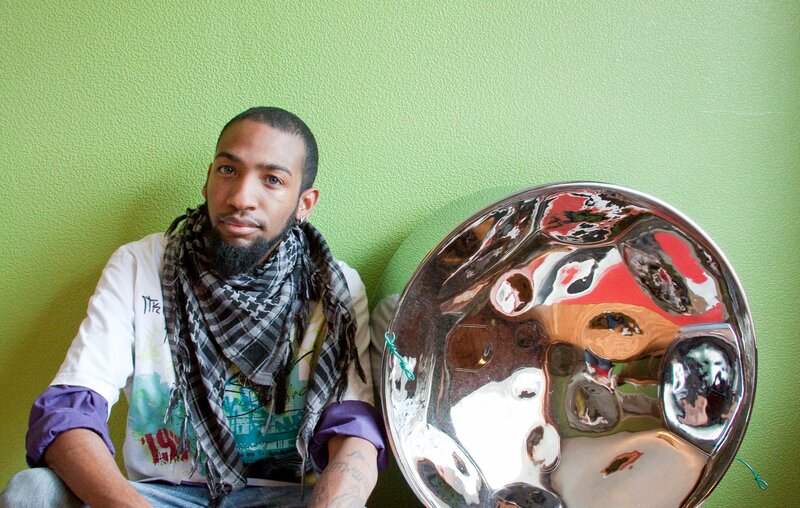 Classically trained composer turned steel pan maestro and front man of the Fourchestra, Jonathan Scales is heavily influenced by the complexity of banjo virtuoso Bela Fleck to the hustle of Jay-Z. Gritty blues guitarist, Duane Simpson, and fusion-chops bassist, Cody Wright, provide the harmonic support for Scales’ sound, while jazz/hip-hop drummer, Phill Bronson, drives the time-shifting, modern grooves. Based in Asheville, NC, the cast of Characters holds this mind-bending concoction together with jazz edge and classical sensibility as they tour around a new album, Character Farm & Other Short Stories.